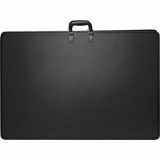 Anglers Main Street Art Portfolio - Scuff-proof and virtually indestructible, archival art portfolio is made of leather-grain vinyl laminated to heavyweight board. 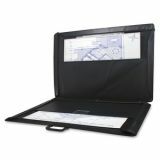 Interior is fully lined with polypropylene and includes two full-size, clear polypropylene pockets. Art caddy holds supplies such as markers and brushes (sold separately). Reinforced bottom corner edges feature multiple steel cleats to add more protection. 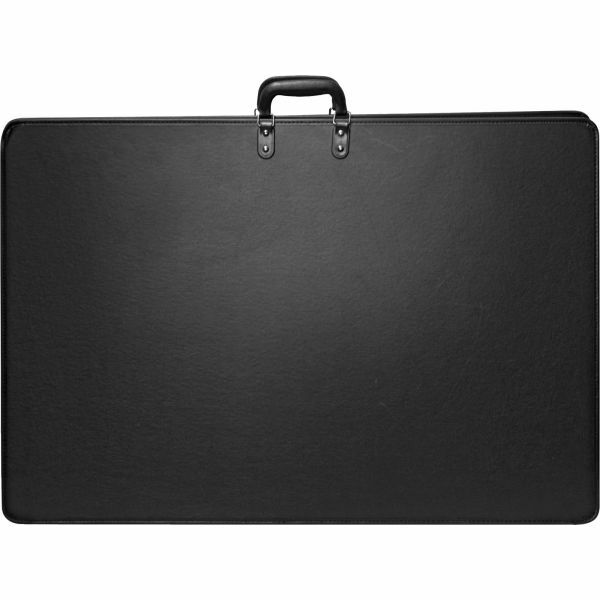 Easily carry with padded handles on the top of the portfolio.